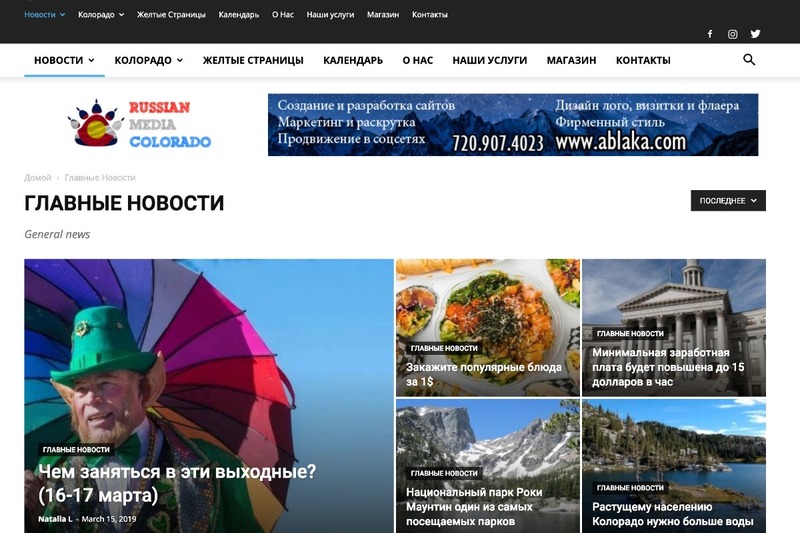 Denverok.com is an information center for Russian-speaking residents that reflects the political, social, economic, cultural, and sporting events of Colorado. The portal was launched in January 2002 and since then, our service sector has expanded. 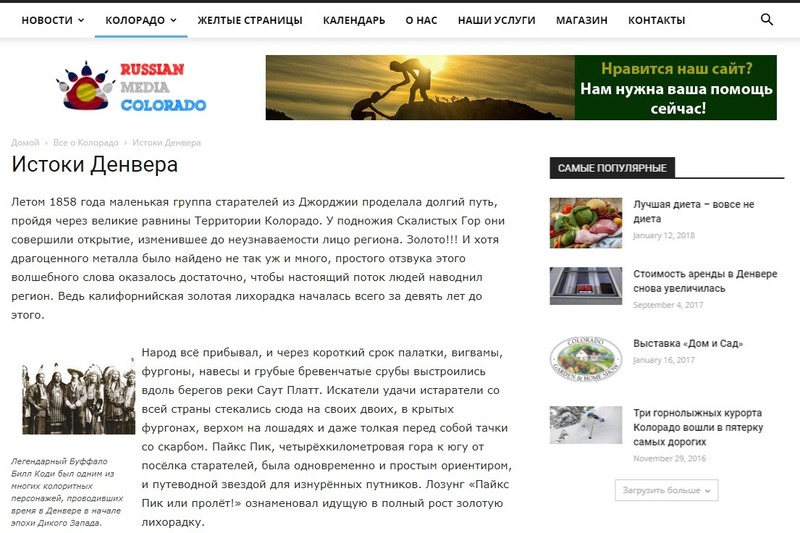 The project, originally conceived as a guide, containing useful information about Colorado, is currently very popular among Russian-speaking residents. Our site conveys only positive and informative articles about the state of Colorado, facts and events that help to learn about the state, attracts the interest of readers from around the world. People from all over the world who plan to visit or move to Colorado use Denver ok.com to get acquainted with our rich nature and tourist ideas of the state. We provide a free advertising platform for concerts and events from abroad. We need your help for further development and technical support of the resource. We are a non-profit organization and all members of the group participate free of charge in supporting the resource. The most important thing in our project is people who work on new articles, provide technical support and interact with readers. We write and create together. Your support will help add more interesting articles and news, expand and update the portal for more convenient and comfortable use.